This is a photograph I took of a sign in Chamonix. It looks basically south. 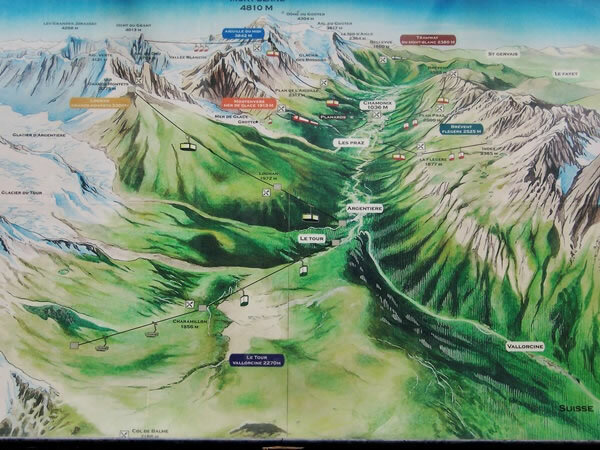 On Tuesday, 10 August 2004, we headed north up the Chamonix valley to Le Tour (a distance of roughly twelve kilometres / seven-and-a-half miles).